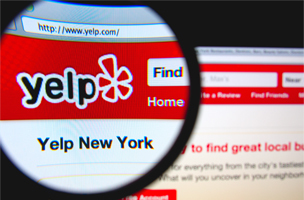 Managing your Yelp page and understanding how it can attract -- or repel -- new customers is more important than worrying about the recent Yelp court ruling. In light of recent court decisions involving Yelp, it’s becoming more important for businesses to understand how Yelp works. Perhaps more important than dealing with Yelp as a company is dealing with your Yelp page. Understanding how reviews affect customer purchasing decisions is the focus of a new infographic from Chatterbox. First impressions are huge for potential customers. Ninety-nine percent of Yelp users have made a purchase at a business they found on Yelp — 90 percent within a week. Fifty-one percent of users make their purchasing decisions after visiting the site, and four out of five Yelp users visit a site with the intent to purchase. These consumers are also very willing to share their thoughts, whether positive or negative. Fifty-eight percent of customers are more willing to share reviews online, and 95 percent of them post about their negative customer service experiences. Negative posts can drive other customers away. Indeed, 24 percent of potential customers change their mind about a purchase after seeing just two negative reviews. A single negative review can cost a business as many as 30 customers. However, a business must never respond negatively to reviewers. Only use public forums for calm, helpful and friendly responses that resolve a bad reviewer’s problem. If the issue persists, handle it privately; do not drag out the conversation in public. You also don’t want to silence negative reviews. Not only could it result in a PR fail, a small number of negative reviews allows users to see that negative opinions do exist, which gives them more faith that the positive reviews are honest.